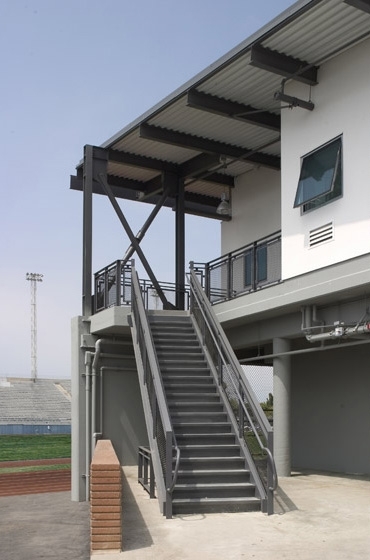 The Physical Education and Athletics Offices Building was designed as a vertical addition to the existing athletic classroom building in the crowded Santa Monica College campus. 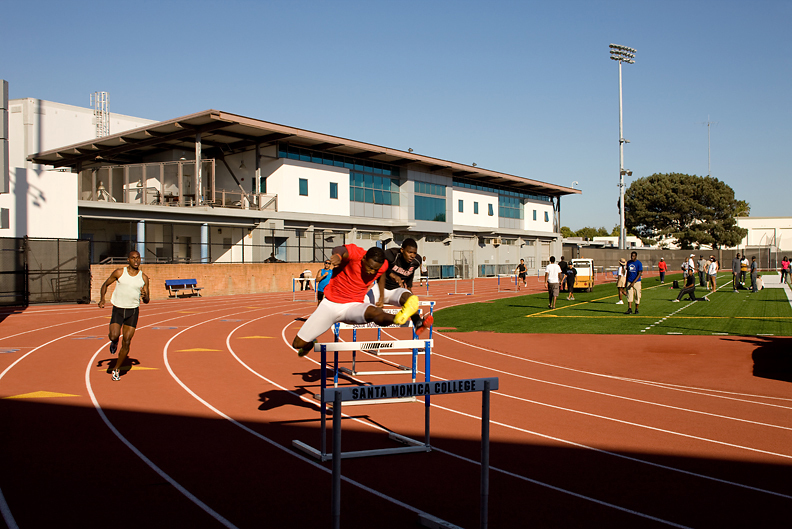 Located between the track and field and the college gymnasium, the offices oversee activities on the outdoor fields, even the conference room is used as a skybox during games. 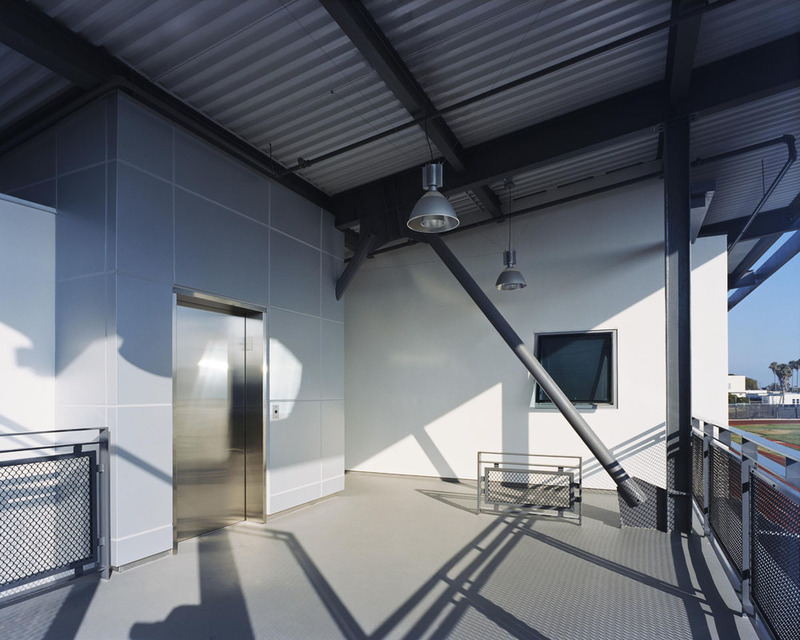 Circulation is double loaded corridor for maximum functional space and it provides cross-ventilation to all of the offices. A combination of windows and clearstory skylights maximize air flow and replace the need for air conditioning. The offices revive the previous ground level classroom and provide for maximum function in a minimal space, providing a contemporary facility that fulfills needs and contributes to the campus appeal.